USB employees proudly participated in the Community Cleanup Day held by Hopkinsville Beautification Commission. 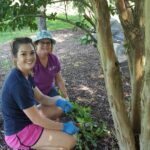 On July 9th, several community members gathered at Ft Campbell Memorial Park to clean up by pulling weeds, trimming branches, pruning, and general clean up. 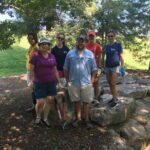 It was a great way to help make our city more beautiful and give back to our community.